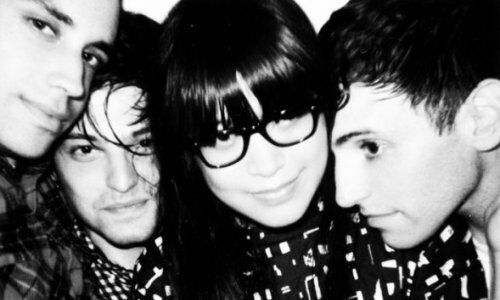 The Pains Of Being Pure At Heart is definitely one of this year’s biggest hype bands, and it’s obvious why: their fuzzy pop is undeniably catchy and not overly drowned in the forced underproduction that can often plague the sub-genre. After a wildly successful self-titled debut LP, they return with Higher Than The Stars, an EP whose title track matches the best tunes in the TPOBPAH library thus far. In all actuality, “Higher Than The Stars” is more reverb than fuzz, though its overabundance almost gives the impression of a fuzz presence. The reason becomes apparent when you dissect the song — replacing the massive distorted pop guitars are synths. Instead, the guitars take a lighter, cleaner jangle effect. They use similar traits in “Falling Over”. 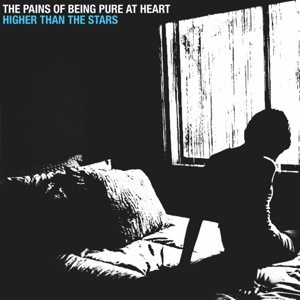 Oddly enough, these are the two tracks where The Pains Of Being Pure At Heart shine brightest. “103” and “Twins” both return to the fuzzed out guitars so loved by fans of the band, but they lack much of the luster of those found on the LP. It’s almost as if they’re the b-sides to to the “Higher Than The Stars” and “Falling Over” a-sides. Whatever the case may be, this 12″ EP is well worth every moment. Higher Than The Stars continues to cement The Pains Of Being Pure At Heart as an up-and-coming band with absolute staying power.